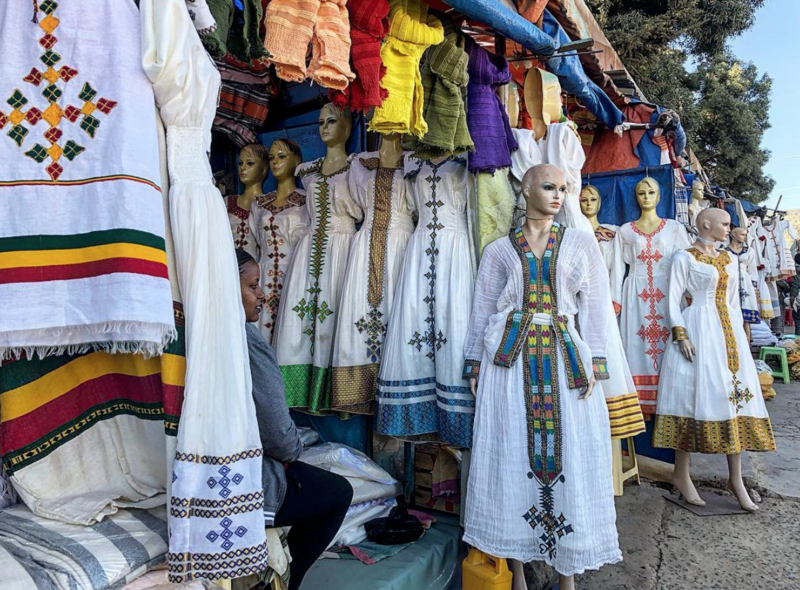 Buy a custom-made habesha kemis, the ankle-length dress worn by Ethiopian women at formal occasions. Also blankets, wedding attire and other traditional clothing. Located north of Botswana Street and frequented by locals.